in the 7th and 8th centuries and was used for medicinal purposes; it then appeared in Spain, Ireland and slowly spread throughout the rest of Europe. Its name derives from the Dutch, brandewijn, meaning “burnt or fired wine”. An Italian-French conference on January 1, 1950 established that the term “brandy” would be used for distilled wines of Italian origin, while in France, they would be referred to as “cognac”. Aged in oak barrels which softens the taste and adds its particular aromas: if it is then refined in oak kegs, the colour is rendered more golden rather than brown. 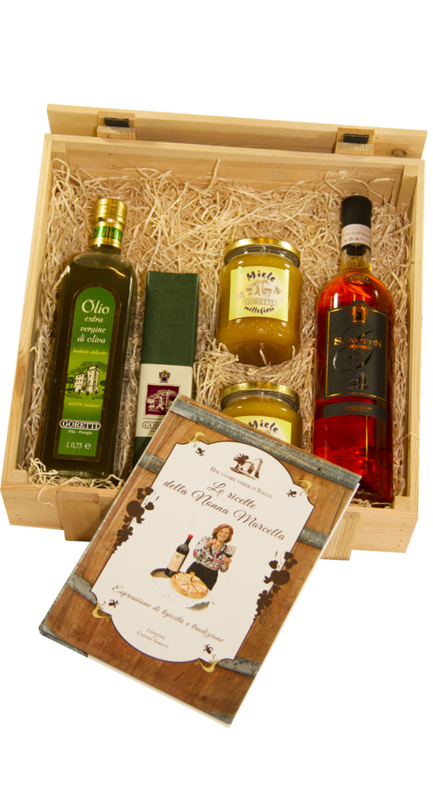 The difference between brandy and other distilled wines is to be found in the primary material, the wine, which subject to distillation becomes more precious in respect to other distilled varieties. 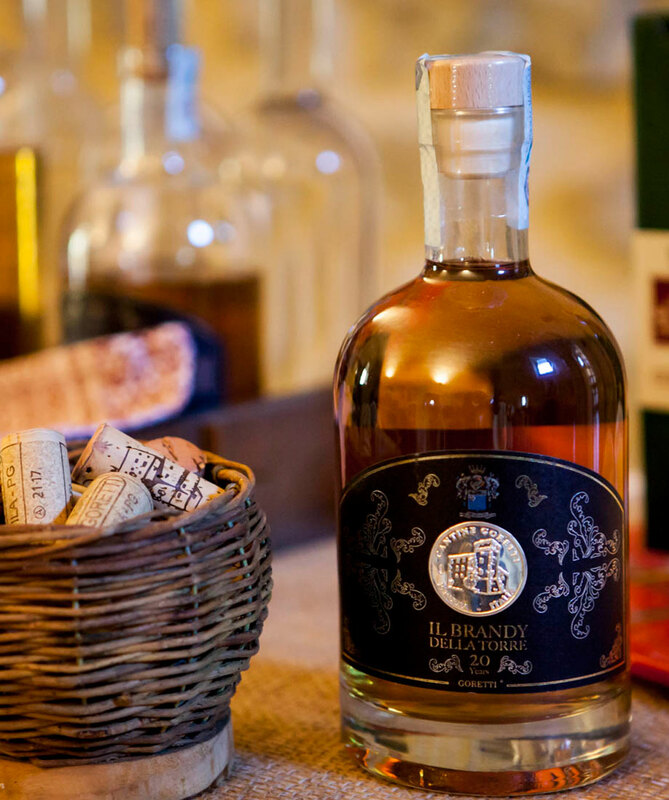 Our La Torre Brandy is catalogued according to the Hennessey classification X.O. 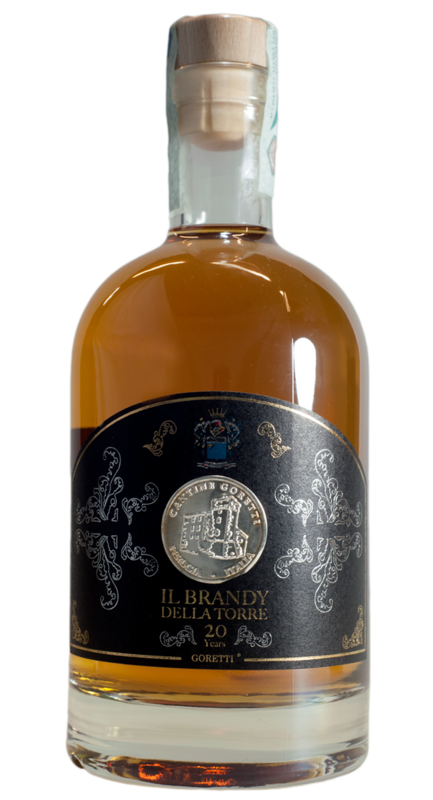 (extra old) which stipulates a minimum age of 6 years: our brandy is aged for 25 years. COLOUR: golden-amber tending towards mahogany; from midway through the ageing process, the colour darkens. BOUQUET: elegant, pronounced, pronounced, harmonious, but above all ethereal; the retronasal finish is full and persistent, elegantly expressing its aromatic characteristics. 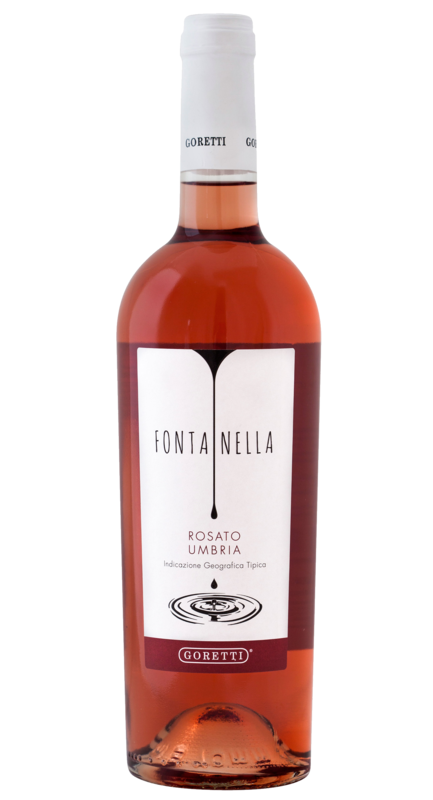 TASTE: rounded, fragrant, full-bodied, smooth and well-balanced. Perfect persistence. DEFINITION: Goretti brandy is a result of a long history passed down through three generations: it is well-balanced between taste and aromas; harmonious with a good nose-palate connection.